Recently I have developed some new hiend-audio Ziggy power supply cables. Basically, they are next generation cables, with respect to the products that I have signaled earlier. This is a comparison of the standard hiend-audio Ziggy “Cheetah” Cable (left), with the new version of the “Sahara V.2″. 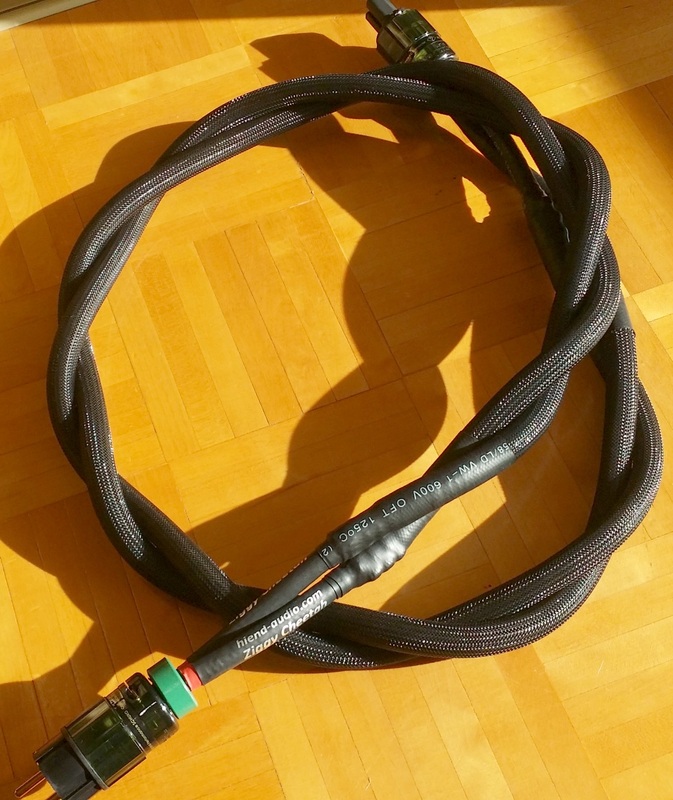 The Cheetah is my standard product, which is basically comprised of two flexible runs of 25mm runs of stranded copper cable, these with with an additional Protective Earth lead. 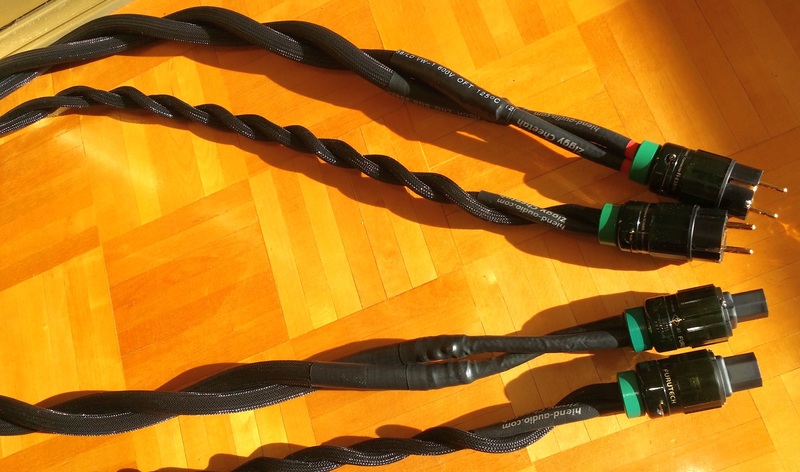 Typically I make them 1,8 meters long, terminated with Furutech FI-38(G) and FI-28(G) plugs. The runs of copper cables are modified by means of a certain process, which for shorts I call “Ziggization”. It is know-how which I protect and to not talk about. The Cheetah is a good all rounder, which provides a good level of detail, without any coloration or special exposure of any of the audio band areas. It delivers a presentation of the music with a level of intricate detail that will enhance your music experience. Even if your system is not necessarily of the top notch variety. The “Sahara”, on the other hand, is a next step solution. This cable is heavy. I mean HEAVY. It is equipped with an additional vibration damping technology. Also my own know-how. Interestingly enough, it WORKS. The damping technology, I mean. OK, one may say that the cable is slightly stiffer and not as flexible as the standard Cheetah, but the good thing about it is that it provides a level of additional insight into the music content. The midrange is even cleaner with more delicious and musical detail. The lower midrange is slightly accentuated, which provides for a low key presentation of the material. Indeed, this may come in handy in some silicon based systems, which tend to be “screaming” or annoyingly “glassy” on their highs. The Bass of the Sahara is something totally else. It is puchy. Tight. Well controlled. Well behaved. This is the main differentiating characteristic of the Sahara over the Cheetah. Both these cables are nice all-rounders. Recommended by some Polish audiophilles, who are using them and they love them already.